Hacking Sales helps you transform your sales process using the next generation of tools, tactics and strategies. 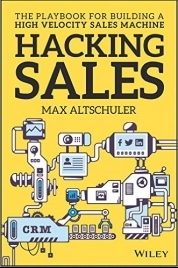 Author Max Altschuler has dedicated his business to helping companies build modern, efficient, high tech sales processes that generate more revenue while using fewer resources. In this book, he shows you the most effective changes you can make, starting today, to evolve your sales and continually raise the bar. You’ll walk through the entire sales process from start to finish, learning critical hacks every step of the way. 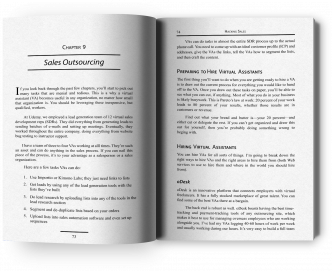 Download a free sample chapter and we'll throw in an exclusive bonus sales hack! Hacking Sales will be released on May 31, 2016. Be the first to get your copy by pre-ordering today! All sales teams need to evolve, or they’ll go extinct. 40% of the Fortune 500 from the year 2000 was no longer on the Fortune 500 in the year 2015. That’s because these companies failed to evolve. Get full transparency into your process so you can be more efficient than ever before. Want to get more out of Hacking Sales? Buy a Bundle! Help us spread the power of Hacking Sales and get some sweet bonuses for your team. All orders must be completed before June 6th, 2016 in order to qualify for the invite only AMA event! * Sales Hacker retains full editorial control. To facilitate delivery of your bundle items, please send your receipt from your bulk order to marketing@saleshacker.com. Thanks! Let me know if you have any questions, suggestions or booking requests. The team will get back to you as soon as possible. Thanks! He started Sales Hacker, Inc. to help other startups with fewer resources to sell their products and services to large corporations. This book is a product of the community and we're excited to see the growth and innovation that comes out of it. "Companies that embrace technology and data in their sales process will build the world class sales organizations that win. Hacking Sales creates an actionable, cutting edge sales process that can scale with your sales org and the ever changing world of technology." "Max is one of the original hackers and like all hackers he's full of tips and tricks for you to follow and swallow to master the game of sales. It doesn't matter how much experience you have selling, you will most certainly gain some new knowledge by reading this book. It is chock full of unique ideas and approaches for you to use. 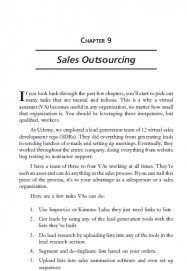 This is a must read for anyone just getting into sales." Subscribe to the Sales Hacker mailing list to be notified of new content, events and workshops!